Exciting news!! Despite being less than two months old, Wake Up Dylan was just nominated for a Liebster Award by Riddhi Jain Brahmbhatt from Pick A Smile! 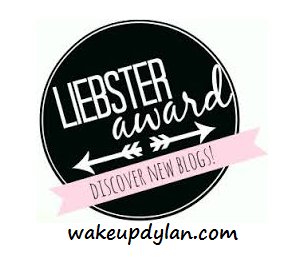 Riddhi had hundreds of blogs to choose from and I am so honoured she chose Wake Up Dylan. Thank you so much!! Post your award to your blog. Answer the questions that were given by the person nominating you. Nominate 10 other new bloggers you’ve discovered. Thank the blogger who nominated you, link back to their blog and notify them that the post is live. Why did you choose this topic for your blog? My four year old son Dylan was diagnosed with narcolepsy & cataplexy about a year ago so it is a topic close to my heart and one that is always top of mind. I decided to start a blog about narcolepsy to create awareness and to inject some much needed humour into an otherwise somber subject. What makes you smile when you’re having a bad day? Arrested Development, Silicon Valley and Last Week Tonight with John Oliver. Hmm, I’m pretty perfect as is but if I absolutely had to change one thing about myself, it would be my inability to to be invisible. My zest for life, my passion for love, my drive to succeed and my excessive use of sarcasm. My Baby Bear. I’ll continue blogging until a cure is discovered. Anything by The Smiths (note the sarcasm). Gillian Braun from This is All I’ve Got. An inspiring blog about a girl admirably handling multiple illnesses with grace. Interestingly, the illness she finds to be most challenging is narcolepsy. Tonya Steele from Living with Narcolepsy. An informative blog about sleep, including narcolepsy, cataplexy and insomnia. Ashley Behnke from Ashley Behnke Design. A sleek design blog. Monique Jebbink from Midnight Rambling. A 20 year old from the Netherlands shares her midnight musings about almost every topic you could imagine. Dree Valentine from Excuse Me, Coming Through! A beauty blog with a motivational spin. Megha Awasthy from Musings by Megha. Just read it, it’s funny. Chelsea Leigh Damon from Living the Sweet Wife. A beautiful mom blog from a beautiful mom with a beautiful family. Amanda Nicole from the deer and the wolf. A lifestyle blog from a fellow non-morning person blogger! Harriet Clifford from Tea Stains and Daisy Chains. A visually gorgeous lifestyle blog I discovered on Bloglovin. Rachelle Mire from Heart N Soul Kids. A brand new blog by a Canadian online children’s swag boutique. Now it’s your turn to answer my questions. I can’t wait to read your answers. 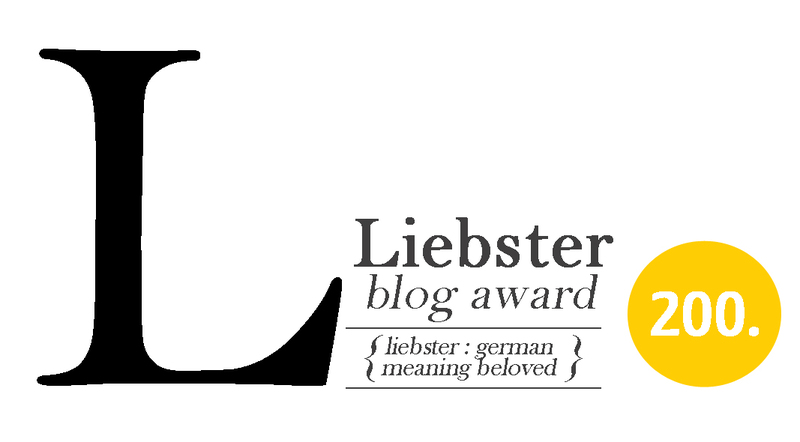 Thanks *ever so much* Lanna for nominating me for the Liebster award! I love your answers.. and your questions too! Gotta start my part soon..! Hello hello!! I FINALLY managed to write my acceptance speech… and while I haven’t really followed the rules I do hope you enjoy reading it!